Little in size….big in heart and soul, The Little Cottage (TLC) is a long standing childcare and early learning centre in Carlton, where literally generations of families have been enrolled. 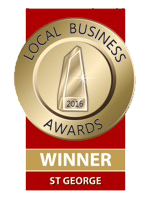 For the past 22 years, TLC has been providing local families with the highest quality of childcare and early learning, and for the past decade, the centre has operated under the leadership of Award winning operators Anastasia Papadopoulos and Simon Leverton. Our gorgeous boutique designed childcare centre in Carlton caters to 36 children and features cozy interiors with neutral colours, delicious home cooked style meals and warm, nurturing highly qualified staff -most of whom have been working at the centre since we ‘opened the doors’. Our centre is made up of both indoor and outdoor spaces and together, provide ample opportunity for children to discover, explore, create, learn and importantly…have fun! Indoors is made up of activity filled rooms with comfortable reading nooks and well defined educational spaces, while outside you’ll find our secure yard is full of fun play equipment to foster creativity and encourage positive interaction between each child. From the cool underwater theme painted backdrop that inspires many great imaginary tales, to the large sandpit, established herb gardens, play equipment and grassed area, the playtime desires and energy levels of all our children are very well catered for. Our much loved Cook, Gogo is a huge part of our quality services preparing and cooking home grown and cooked ingredients for over 12 years to our children. TLC has also has a strong networking relationship with Carlton Public School, which is located directly next door. In preparation for kindergarten, our preschoolers have numerous opportunities throughout the year to go on an excursion and visit the school. The children love these excursions as it not only assists with the transition to ‘big school’, but also allows them to garner a sense of ‘belonging to the community’. Representatives from Carlton Public School are also strong influences in the creation and implementation of our school readiness program. This ensures that the school program we deliver is as current, relevant and up to date as it can be. 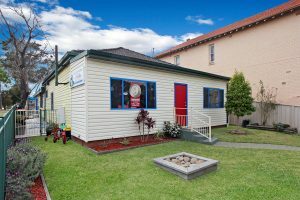 The Little Cottage is privately owned and run by Anastasia Papadopoulos and Simon Leverton, Award winning child care centre operators and much loved members of the Southern Sydney community. Our early learning centre is open Monday – Friday from 7am to 6pm for 52 weeks of the year (closed on NSW Public Holidays) and caters for children between the ages of 20 months – 5 years. 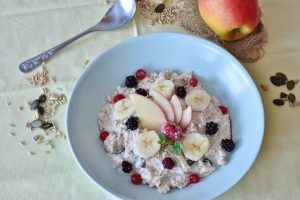 “I’m so grateful for the fact that I have found The Little Cottage (TLC) for my two and a half year old daughter, where she goes there 5 days a week and loves everything in there. The most important thing when finding a childcare centre, that every parent would be concerned about, is the trust you have from them. The staff in TLC are nice and friendly, but most importantly, they all love kids and care for them. As a dad, I’m very impressed with The Little Cottage. My son loves it. The staff there have helped bring out the very best in him. They provide so many different and varied activities that ensure no two weeks are the same. We would like to share our love and appreciation to all the teachers and management who have made her first journey in life a fun and beautiful one. We couldn’t wish for a more caring and dedicated staff who in their busy day, find the time to learn a little about Sienna and the things she loves. Thank you for continuing to make our daughter’s journey memorable. At our childcare in Carlton, we respect the world and those around it. 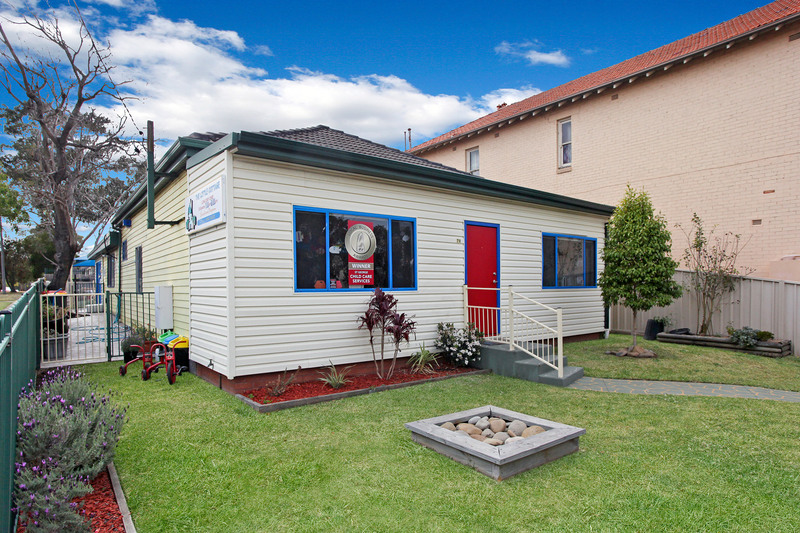 The Little Cottage provides high quality care and education throughout our childcare service in Carlton by recognising that all children, families and staff are unique individuals that need to be respected. We acknowledge that children belong first to a family, a cultural group, a neighbourhood and a wider community. We foster children’s self-worth, as well as provide an understanding of acceptance for others. We celebrate, honour and promote the diversity not just related to our Carlton based childcare centre, but the diversity of the world we live in. We do this through the combination of children, staff and family input, resources and via our lovely community in Carlton. Our program reflects the diverse culture of the world we live in, by developing children’s awareness and respect for cultural differences and similarities. Though this we are able to provide a stable, safe and loving environment that fosters a solid foundation for lifelong success. Our childcare centre in Carlton acknowledges the importance of providing the utmost respect, care and education to children to ensure they are ready to explore the world and its surroundings. At childcare in Carlton, we love to learn. 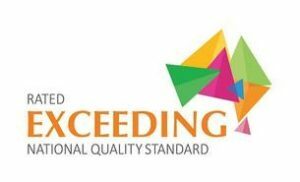 We provide educationally appropriate resources to assist in the development of the whole child. Children initiate their own learning through play in a stimulating environment that provides variety, choice and stability. Play should be fun, exciting, hands on, spontaneous, stimulating, interesting, relaxing, comforting, social and challenging. When a child feels safe, secure and cared for, they will engage in activities and interactions that provide these experiences, which will in turn, support their cognitive and language skills and overall development. Our learning spaces are clean and uncluttered. Furniture, materials and toys are age-appropriate and our outdoor space is designed so supervising caregivers can observe all children at all times. It is secure, has age-appropriate outdoor equipment and opportunity for running and other large motor activities. 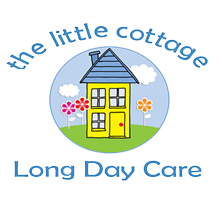 The Little Cottage operates under the premise that an effective and caring environment will help children feel invited and welcome to explore and learn. 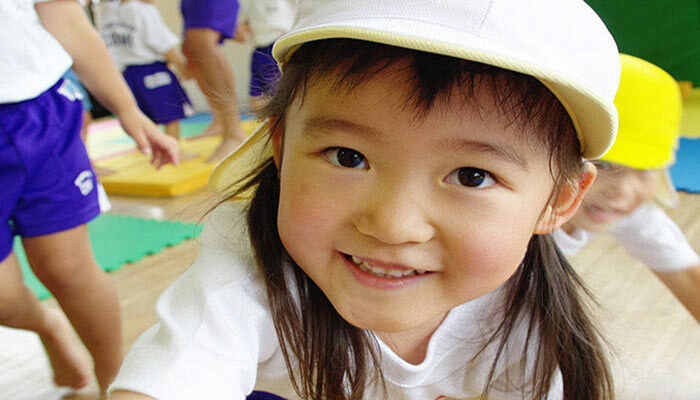 Through the process of learning, our childcare centre in Carlton assists in the intellectual development of children through the use of advanced materials and early learning resources to ensure they are ready for the world and what it entails. We love to play at The Little Cottage in Carlton! Children learn through playing and exploring their environment and we foster this understanding by setting up ‘learning spaces’ in which the children are able to explore. These may evolve either from a chance event, an idea that has been shared or a problem posed by one or more of the children. It may also be initiated directly by the teachers. Some of these projects/learnings may last a few days to several months. The children are provided with a range of equipment that they are able to use to create, explore and delve into however they wish, allowing them to become ‘active learners’. Some of the activities that the children have opportunities to interact with are: creative (art) material, computer play, pretend play/dress ups, sensory activities, sand & water play, books, blocks, gardening, musical instruments, construction materials, puzzles & manipulatives, cooking, science materials, climbing equipment, etc. The emphasis is on teamwork between children, staff and families, rather than controlling the children’s learning. This allows for a ‘child driven program’ that creates opportunities of uninterrupted play and / or risky play depending on the interests and active learnings of the group. In addition, play provides a wonderful opportunity for children to communicate, connect with, and enjoyment. It helps children become competent with problem solving and mastery, as well as developing their social skills such as patience, leadership and communication. Play also helps with brain development through the rich mix of cognitive, motor and language development opportunities. Importantly, play also provides an occasion for fun and laughter, both of which help children feel welcome and part of something. Through the process of play, the children at our childcare centre in Carlton are able to grow in understanding of the interaction with other individuals and their environment through our activities which assist early learning and development. At our childcare in Carlton, we nurture. We believe in educating and ensuring children participate in practices of sustainability by promoting responsibility and respect towards the environment. Our children are seen as active participants in recycling, gardening and re using everyday household products. We empower them to make a difference in their future and do this by involving children and families in various ideas (listed below) and implementing these together, allowing them to connect with nature and the environment. In the same way as we teach the habits of healthy eating and lifestyle, we believe that children are never too young to learn to care for our environment, the creatures in it, the principles of recycling & sustainability and the food cycle. Children and their families are asked to bring in recyclable material from home in order to teach the children and raise awareness of the importance of recycling. We have many discussions, investigations, research and games all focused on recycling and reusing and not wasting. We are very conscious of our world at our centre and all work together to pick up rubbish and keeping our environment clean. We use all recyclable materials to create things like robots, boats, cars, wind chimes etc. We are currently working with the children on researching how we can have the best worm farm ever! Our children show a lot of curiosity and interest with the worms and help to feed them on a weekly basis with scraps from the kitchen. This has also helped reduce a noticeable amount of waste and increased our recycling. Helping take care of the vegetable patches is a highlight of the day! Children show a lot of enjoyment getting their hands dirty through planting and maintaining the vegetables and at the end of each day, they are encouraged to empty their water bottles into the gardens – thus teaching them about not wasting water. Through teaching the children how to practice sustainability and responsibility towards their environment, children at our childcare centre in Carlton are equipped to explore the world, appreciate its beauty and respect the environment and those around it. The Little Cottage is centered in the heart of Carlton, St George.